This chapter suggests that the study of historical film studies and literary film adaptations shows similarities, which warrant exchanging concepts and methods to benefit both disciplines. Hence, section “Historical Film Studies: A Brief Introduction” sketches a brief introduction to the field of historical film studies. Section “The Adaptation as End-Product” looks into how literary or historical film adaptations, understood as end-products, may involve highlighting or, rather, hiding adaptational tracks. Section “Adaptation as a Process” focuses on the adaptation process and discusses pros and cons of distinguishing between a selection policy and an actual adaptation policy. Finally, section “Systemic Relations Between Process and End-Product” discusses some research questions dealing with systemic relations that may obtain between the presentation and perception of a set of literary or historical film adaptations, understood as end-products, and features of their adaptational processes. ———. L’Adaptation filmique de textes littéraires: Le film noir américain. Katholieke Universiteit Leuven, 1990, http://independent.academia.edu/CattryssePatrick/Books. ———. “Simone Murray, The Adaptation Industry: The Cultural Economy of Contemporary Literary Adaptation. 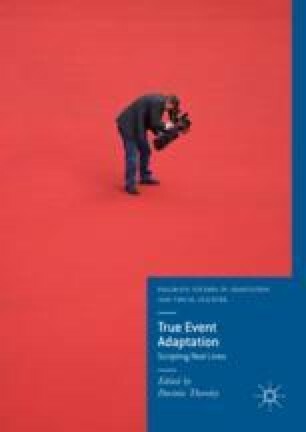 Book Review.” Translation: A Transdisciplinary Journal, 2012, http://translation.fusp.it/reviews/the-adaptation-industry-the-cultural-economy-of-contemporary-literary-adaptation. Kroon, Frederick, and Alberto Voltolini. “Fiction.” Stanford Encyclopedia of Philosophy (Winter 2016 Edition), 2011, https://plato.stanford.edu/archives/win2016/entries/fiction.